Come to the pool party and find your Summer Crush at the gorgeous garden pool. 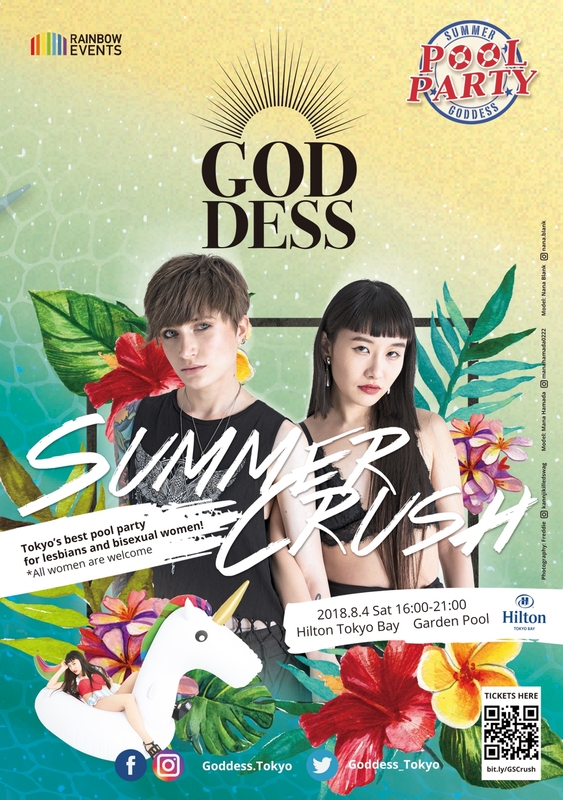 Enjoy eating and drinking while floating in the pool and listening to the Goddess DJs! Be mesmerized by the special guest performances and beautiful Gogo dancers! And get pumped watching the pool side wrestling and join in on a game of Chickenwar with the ProWrestling WAVE wrestlers! NO DRESS CODE, so wear anything you like. Tattoos OK! © 2017 TOKYO PGR All rights reserved.